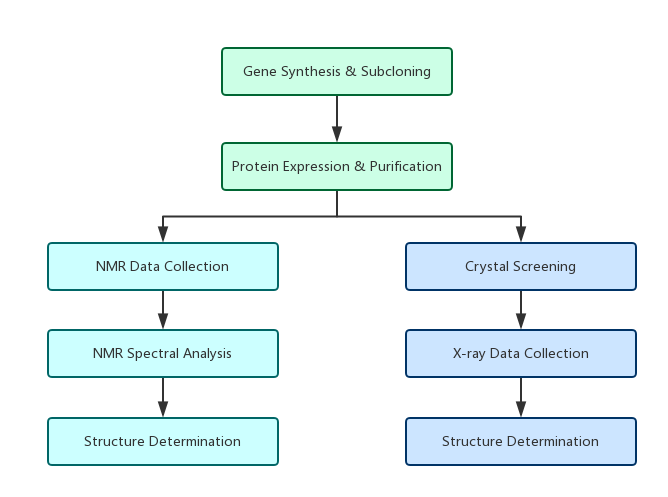 Synbio Technologies provides comprehensive services for structural biology, including high purity protein preparation, fragment-based crystallographic screening, crystallization and structure determination. Synbio Technologies can handle your projects starting from gene synthesis to crystallization/co-crystallization and structure determination. To accomplish this, we rely on our proprietary NGTM Codon Optimization Technology, comprehensive portfolio of expression systems, and a wide selection of purification and crystallization methods.